This class is designed for anyone new to our Askal Community. Our main focus is to not only take your fitness to the next level but most importantly to make everyday life situations easier whether it is chasing after your kids, carrying groceries, or just simply walking without huffing and puffing. Elements focuses on introducing basic progressions of movements (i.e. squat, deadlift, push ups, pull ups etc) and slowly increasing movement difficulty as well as intensity. When does Elements take place? Classes are held Monday through Friday 7-8pm and hope to expand to other times of the day as well as Saturdays as soon as interest and attendance increases. ANYONE can join! Whether you have never worked out before, are a seasoned athlete, a soccer mom, or regular Joe, anyone can participate! How often can I attend Elements? You can come as often as you wish. We recommend coming in on a consistent basis (at least 3-4 times per week). What if I want to attend CrossFit classes? 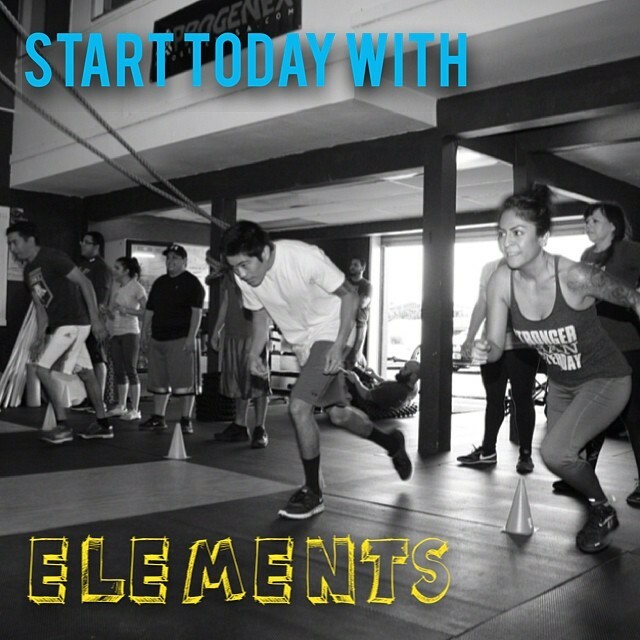 You must attend our Elements classes for a minimum of 4 weeks and show basic understanding of movements before you are able to attend our CrossFit classes. *50% OFF SPECIAL! One purchase per a person and applies only to the first month. Elements membership is $100 per month if you wish to continue attending beyond the first month. Offer expires 4/30/14. How do I start Elements? You may start anytime. You may either call us at 424-271-2924 or sign up online here. We highly recommend coming in 20 minutes early prior to your first class. Feel free to give us a call at 424-271-2924 or email us at info@crossfitaskal.com.